When on Mars, do as the Martian lumberjacks do. The new Doom is buttery, plain and simple -- no other word captures the ridiculous smoothness imbued in the game's mechanics. As he traverses Hell on Mars, the protagonist moves at a constant sprint, but the controls never feel too sensitive or rushed; it's the perfect speed for rapid-fire, twitchy gameplay. With Doom, developer id Software and publisher Bethesda have crafted an innovative first-person shooter that pays homage to the series' long history while propelling it into the future. 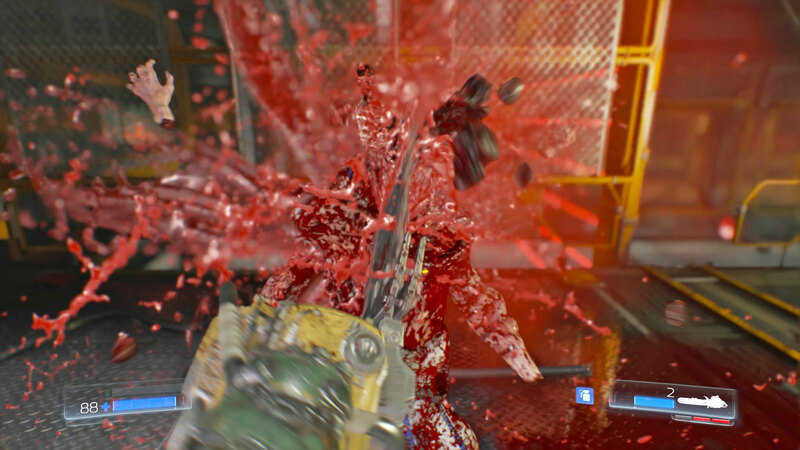 A large part of Doom's history involves the chainsaw. Doom and chainsaws go together like lumberjacks and flannel, and the latest game doesn't disappoint in this department. It brings the close-up brutality of chainsaw kills into the 21st century, in glorious high-definition.